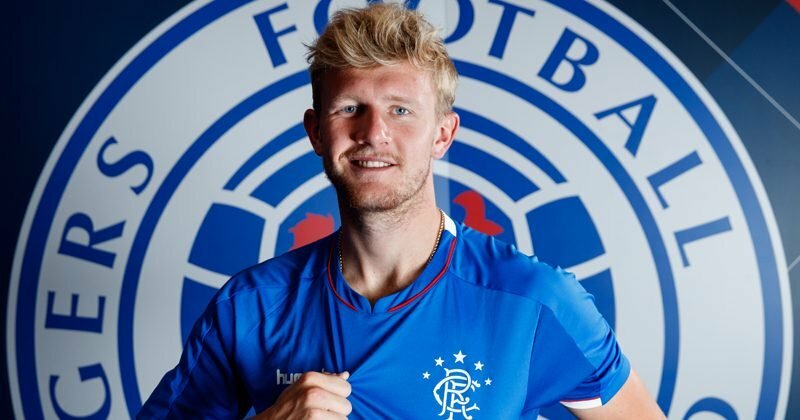 Connor Goldson has admitted “it would be good” if Joe Worrall joined Rangers permanently this summer. The 22-year-old has been in fine form since joining on loan from Nottingham Forest, making 31 appearances in all competitions and scoring one goal. Worrall opted to move to Ibrox last summer as he wasn’t guaranteed regular playing time under Aitor Karanka, but the Englishman stands a better chance of being in the starting eleven next season. He’s impressed in Scotland and might be required back at the City Ground if there’s a potential summer exodus of defenders. Forest have Michael Dawson, Tobias Figueiredo, Michael Hefele, Alexander Milosevic, Yohan Benalouane and Molla Wague to choose from at centre-back, but at least three of those players could be offloaded when the campaign comes to a close. Dawson turns 36 in November and has struggled to recover from injury. Hefele is also sidelined and wasn’t in the best form when he was fit. Wague will return to parent club Udinese this summer. Forest will need to bring in at least one defender to replace those who could be on their way out, so Worrall should be staying which is bad news for Goldson. ‘I was … surprised’ – did Jack Robinson criticise Martin O’Neill’s selection policy?